TORONTO – The Gourmand Awards jury has announced that “The Ultimate Guide to Champagne” by Liz Palmer is a finalist in the category “Best French Wine Book”. The book was published by Liz Palmer Media Group Inc., Toronto. The Ultimate Guide To Champagne will now compete in its category against winners from other countries for the Best in the World. The results will be announced on May 27 & 28, 2017 at the Gourmand Awards Ceremony in Yantai, China. There is much more to champagne than the drink – Champagne is named after the region where it is grown, fermented and bottled. This essential guide takes you to this region, explores its culture and honours its history. The Ultimate Guide To Champagne is highly recommended for everyone, from beginners to experts. It’s a remarkable point of reference into which any wine lover or professional can dip in and browse. The Champagne Bible for ALL wine lovers. 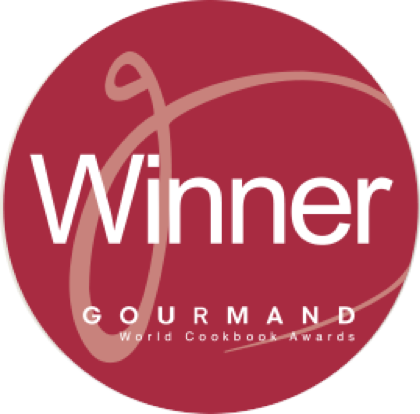 • The Gourmand World Cookbook Awards were founded in 1995 by Edouard Cointreau. Every year, they honour the best food and wine books, printed or digital. • Books from 209 countries participate in these prestigious awards, the only international competition of the sector. • Every year, Gourmand gives the awards in a very special location for gastronomy. The awards ceremony is an opportunity to meet top people in the world of food wine and books: hundreds of international publishers, authors, chefs and journalists participate. Liz Palmer is available for interviews and live appearances. Previous Previous post: The Ultimate Guide to Champagne Book Review by Zis Parras Ph.D.